Aternity recently released a jointly authored newsletter that embeds the Gartner Market Guide for Mobile Application Performance Monitoring research report. The Gartner Market Guide analyzes how leading vendors are addressing enterprise’s requirements for mobile APM, and we’re pleased that Aternity Mobile APM is included. You can purchase the Market Guide from Gartner for $1295, or you can get full access to the entire report as part of our jointly authored newsletter here. What’s often missing from an enterprise’s mobile strategy is the ability to assure the reliability and quality of mobile apps used by both customers and the workforce. And that’s where Aternity comes into play. 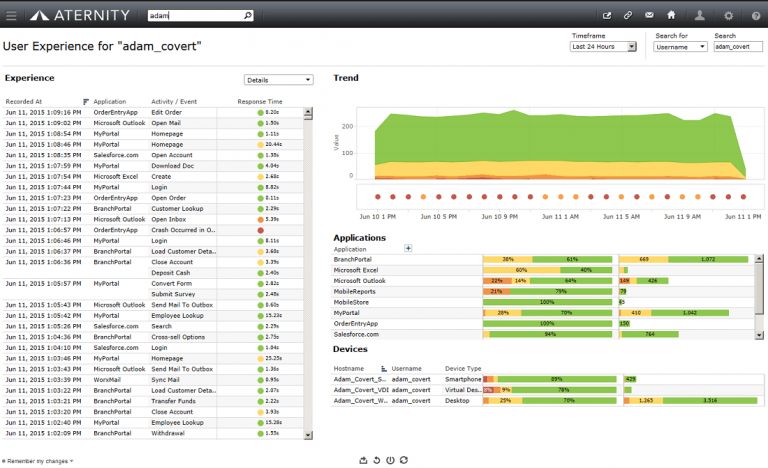 Mobile APM products provide app developers with essential capabilities like crash analytics, app error reporting, service performance metrics, and data consumption tracking. As important as these capabilities are, they primarily solve problems for consumer-facing apps, because they lack visibility into important aspects of the enterprise end user – their identity, role, and business function, the full range of apps and devices they use, and the business activities for which employees are responsible. Business critical workforce mobile apps, such as POS, CRM, EHR, and ERP, require additional capabilities. For IT Ops to prioritize their response to an incident, they need to understand the business impact, the functional organization and business locations of the impacted users, and whether mobile users are also impacted. For the line of business to determine whether or not mobile is improving workforce productivity, they need metrics and analysis in terms that are relevant to the business, such as the length of time to fill out a claim form, or the number of orders processed, or not completed, by employees in a remote branch office. Enterprises whose mobile portfolios include both consumer-facing and workforce apps should expect five key mobile APM capabilities to ensure mobile success. Improving mobile workforce productivity depends on having a detailed understanding of the enterprise end user. Rather than being an anonymous consumer, the mobile worker has a meaningful identity consisting of not just a name, but a role, department, and office location within the organization. He or she conducts a range of business activities throughout the day, on a broad portfolio of enterprise mobile apps, on multiple devices, from a variety of locations. Mobile apps used by the workforce may be part of a single step business activity, such as ‘apply credit’, or part of a more complex user workflow, such as ‘resolve a disputed charge’. With Aternity Mobile APM, enterprises can designate any user interaction or network event to define the workflow that the business wants to monitor, whether a single interaction or a multi-step business process. 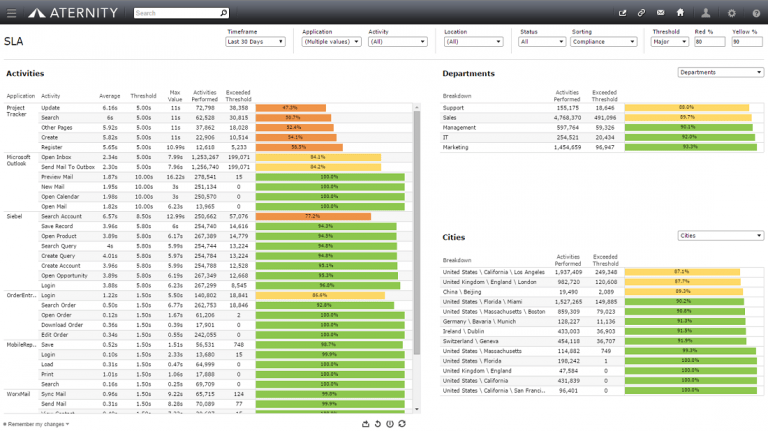 This enables the line of business to determine the impact of app performance on workforce productivity. As enterprises mature in their mobile strategy, central IT Ops is often charged with the responsibility of ensuring a quality user experience for mobile apps as well as those that run in the cloud or on physical or virtual devices. Aternity provides a consistent approach for IT Ops to guarantee optimal service delivery across the full portfolio of applications the workforce uses as they conduct business from the office, client locations, or home. It can be difficult for enterprises to get access to a development team to instrument an app with an SDK. In many cases, enterprises use third party apps, or outsource the development of custom apps to third parties. Even when apps are developed in-house, developers have their own roadmap and priorities. For these scenarios, a mobile wrapper gives full control to the enterprise IT Ops teams or app store administrators to instrument mobile apps without app developers or access to the code. Instrumenting an app for diagnostics and user interactions enables the enterprise to ensure a quality user experience as soon as apps are ready to be rolled out. Once downloaded to the user’s device, the instrumented mobile app is fully enabled to be monitored. And because there are no code changes, there is no extra development effort or impact on release schedules when apps are updated. Executing a corporate mobile strategy to drive gains in customer satisfaction and workforce productivity requires more than rolling out apps on the app store, establishing a BYOD policy, and investing in an Enterprise Mobility Management (EMM) solution. It requires ensuring your mobile apps actually deliver a quality experience as your customers and your workforce use them. 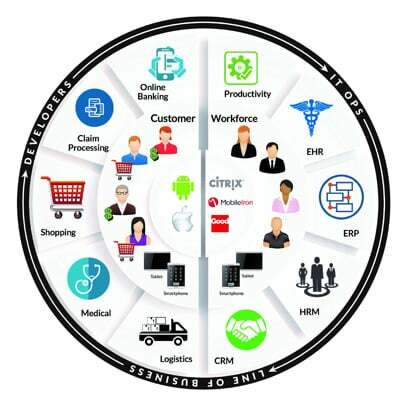 Unlike other mobile APM vendors which focus primarily on consumer mobile apps, Aternity Mobile APM addresses a full range of use cases for developers of both consumer and workforce mobile apps, IT Ops who support them, and the lines of business who rely on them to grow and transform their markets. Over the next few weeks, we’ll dig deeper into each of the five key Mobile APM capabilities addressed here. 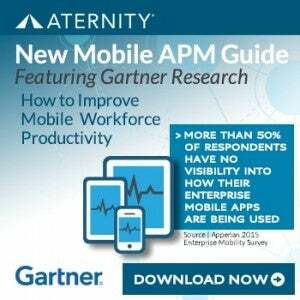 In the meantime, you can read the Gartner Market Guide to Mobile APM here, or even better, start a free trial of Aternity Mobile APM here.